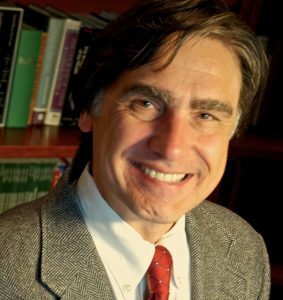 Dr. Luciano Lizzi, a recognized leader in his field, has been a psychiatrist since 1996 with an extensive background in critical care medicine in addition to psychiatry, Dr. Lizzi is uniquely adept at the “whole patient” treatment approach. He is a tireless patient advocate working to promote the highest quality prevention, diagnosis and treatment. Dr. Lizzi graduated from the University of Pennsylvania School of Medicine and completed his residency in Obstetrics and Gynecology at Pennsylvania Hospital in Philadelphia. He received Clinical Scholar designation from the Robert Wood Johnson Foundation and obtained his law degree through Penn’s law school in 1991. In 1993 he pursued psychiatric training at the University of Pennsylvania Medical Center. He served as Department Chair at Underwood Memorial Hospital in Woodbury, NJ, and has extensive experience in emergency and consultation liaison psychiatry. Dr. Lizzi is Board Certified in General and Forensic Psychiatry. He is active in the professional community and is a past President of the Philadelphia Psychiatric Association. He taught at the University of Pennsylvania Medical School for many years and was the recipient of the Distinguished Faculty Award in 2011 and in 2010 he received the Irma Bland, MD, Certificate of Excellence in Teaching Residents Award from the American Psychiatric Association. Dr. Lizzi held Board Certification in Obstetrics and Gynecology. He is a member of the historical Philadelphia College of Physicians, a Distinguished Fellow of the American Psychiatric Association, a fellow of the American College of Psychiatrists, a fellow of the American College of Legal Medicine and the American College of Obstetrics & Gynecology. He is also a member of the American Academy of Psychiatry and Law.